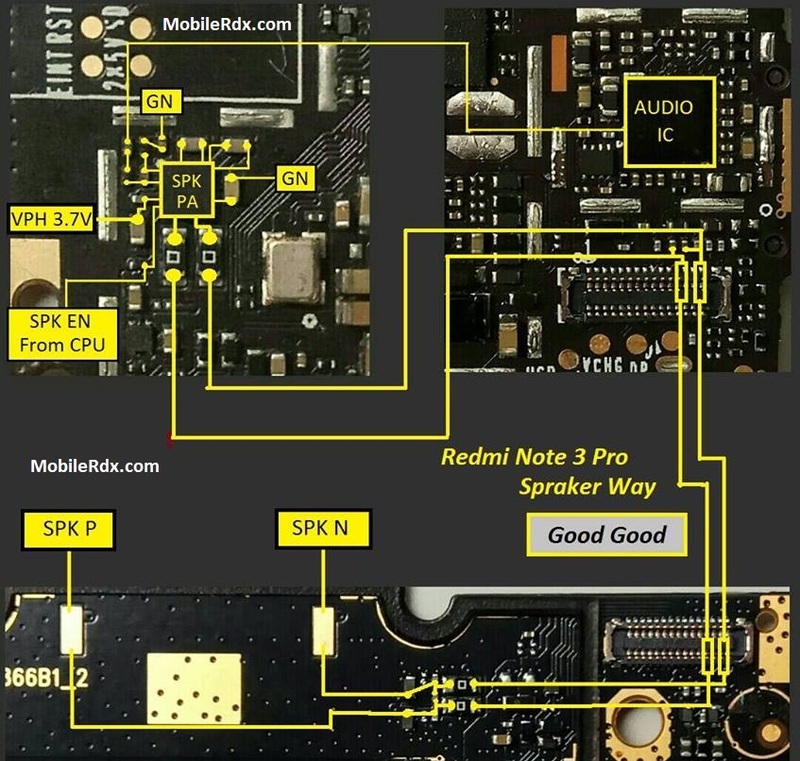 To repair the Xiaomi Redmi Note 3 Pro hands, free speaker, you may first clean the speaker terminal contact pads on the PCB board if there is a corrosion and oxidation build up., then check the speaker using a multimeter to easily determine if it’s working or not. Replace a damaged speaker if found. If the speaker confirmed okay, you may refer to the solution below and do have a check and test procedure on some components which is associated or connected with the hands-free speaker circuit. Here’s the Redmi Note 3 Pro solution for not working ringer, buzzer or hands-free speaker problem. This solution may help on how to troubleshoot and repair the phone handset. Check the buzzer using a multimeter. Replace if already damaged. a distorted audio sound is caused by a weak buzzer. or it is already burned out. (internal coil is damaged). If the speaker is good and seems no problem, ensure that the terminal was not misaligned. Then clean the buzzer terminal contact pads for possible oxidation build ups (this might weaken the connection). Check each of buzzer+ and buzzer- corresponding connection line paths across to each component where it is being connected. If any of the buzzer + or – track missing then make a jumper.